Looking for private in-home or in-studio Music Performance lessons? Our Clermont teachers are ready to get you started. Find your teacher today! From Musical Theater to Rock Concerts I'm the go to girl with over decades of both Musicals and Pop concerts. My methods will help over come Stage fright, tips to overcome stage jiggers and how to utilize the stage. I've performed on and off Broadway as a pianist, and on television in many familiar shows. I've worked professionally as an arranger, vocal coach and orchestrator. My job is to get your child crazy about the piano. If you have to nag your child to play, something is wrong. The basics are, of course, important, but until you have gotten the child to accept and love the piano as an object of enjoyment, all that practicing will go nowhere. I think it's easier to learn the piano if you are having fun, and that means playing music that you like. You can always choose what you will play in lessons, and lessons are designed around your preferences, and move at a pace comfortable to you. The basics are still taught, but at a pace that your child finds comfortable. The result of this is that I will get your child to go the piano and play by themselves with no nagging. For children, the best start involves games and immediate playing to give the child a taste of the real joy of making music. Reading exercises have their place, but not at the very beginning. I want you to play a song you know and enjoy your first lesson, and I can easily help you do that. It's in your interest to play meaningful music, (to you) right away. It is possible for anyone can play music far more complex than what they can read on a page, so my first goal is to get you started playing real songs on your first lesson. Education: BA University of California, Berkeley. Graduate work at University of Southern California Film School, Trinity College of Music, London. Emmy Award winner, music direction. Broadway veteran. Recordings with American Symphony Orchestra released Sterling Records. If you're a beginner, I want you to start playing right away, with less emphasis on deciphering sheet music and more on the immediate physical sense of the keyboard. You have to enjoy playing by any means before you are inundated with the page. Reading music follows soon, but not before you can play music you like. If you're more advanced, I can help you with technical development, and begin to widen your musical senses. I provide Books and Musical Literature. Students must have instrument, electronic or acoustic. I teach any style of music that you prefer. I also accept students with disabilities and special needs. John has been teaching my 6 year old daughter for 3 months now and not only has he done a tremendous job gauging her abilities and teaching her but he has made it so much fun she wants to play the piano all the time. John's biggest strengths are his patience, understanding and seeming endless facility with music. I read music but not fast enough to allow me to play good pieces, so John translates everything into physical movements. This makes it very easy to play interesting music, which makes me want to play more. I think he has shown me how learn, how to refine things so they are satisfying. I highly recommend him as a teacher, for beginners or advanced. My son is six years old and has been taking piano lessons with John for six months. John is a unique and engaging teacher. His extensive knowledge of music and skill at the keyboard were apparent from the beginning. He can easily demonstrate a multitude of songs and then teach them on the spot. My son is excited to play a "whole song," be it Sponge Bob or Beethoven. John's teach-by-numbers technique appeals to my son's love of numbers and patterns yet he is also quickly learning how to read sheet music. John really is skilled at disguising a lesson on technique or theory as a game. He is goofy while at the same time encouraging and supportive of my son. He keeps it light, fun, and skill appropriate. Since he comes to our home, I also appreciate John's focus on the lesson - he arrives and departs in a timely manner. I highly recommend John as a piano teacher. You CAN Sing those Great Songs with Full Voiced Power, Ease and Beauty and learn to "Perform" them with ease and professional mastery! Your son or daughter will learn to appreciate and enjoy music, as they journey to learn their true potential in this area of Vocalization or instrumentation. This are is for those who have experience with one or more of these areas, music theory, Singing, or Piano, and want to improve their skills. Graduated with a Degree in Music Education from San Diego State University. Presently, earning California State Credentials. Graduated with a Piano performance diploma from Chula Vista School of Performing Arts division. I have taught several students in many fields including but not limited to: Spanish, Piano (Beginning to Advanced), Vocal Development etc. I am very friendly and personable, but also professional. When students come to me with problems, I will do what ever it takes to bring them to the solution. My motto is, a problem is just another opportunity for you to do your best. - I have taught: 6 years. 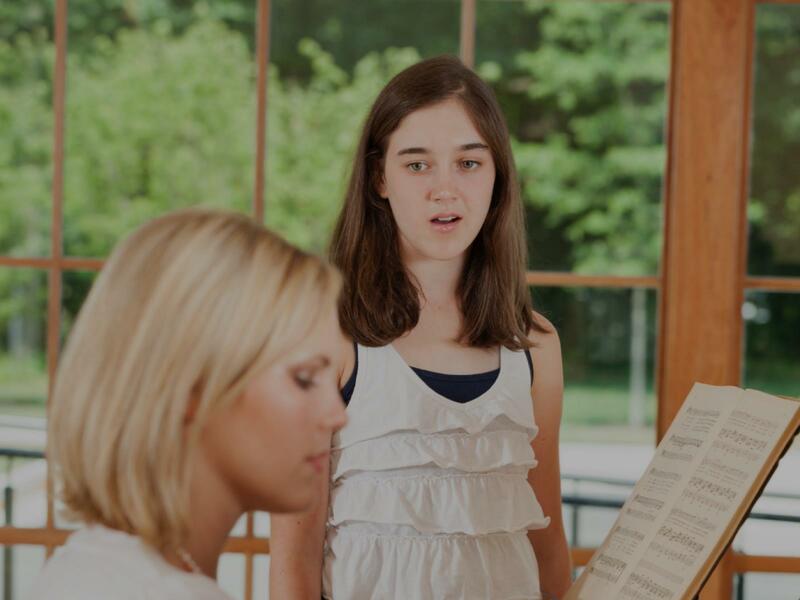 Ranging in many subjects such as Spanish, English, Vocal Instruction, Piano Instruction, Guitar, and Musical Performance. ches of Christ. I've taught the San Diego Church of Christ Fellowship for 9 years. I have led worship for even longer, and i love it. - Led worship, produced music, directed choirs, taught assorted parts to part singers. - I am presently teaching ages 5-65, with the exception of one enthusiastic 67 year old. These details change depending on, whether you would like musical training or academic tutoring. Music is fun and the lessons should be as well. When it comes to practice I recommend that students do spend time (1/2-1hour daily) outside of the lessons practicing to ensure that they see results. If you choose to practice only while in the lesson you will get better but it will be at a slower pace. - Assign repertoire depending on skill level. - Work on technical aspect of the pieces. Your student will learn much more about their capabilities and their instrument as they will learn many aspects of Music Theory. I teach beginning- advanced piano lessons touching on posture, hand position, rhythm training, sight-reading, expression, and pop/jazz chord charts. If you want to learn how to play songs by ear that you hear on the radio, I can train you how to do that too! Once I feel that you have surpassed my ability to help you grow, I will be happy to pass you on to a more experienced teacher and attend all of your future recitals. I teach voice beginner-professional, which includes classical repertoire and technique as well as Musical Theatre, Pop, Rock, Standards, Country, RnB,...you name it. The best part is that you will learn to sing in a manner that will not damage your instrument and in fact will work to fortify your instrument. - Start with introduction to the standard. - Work on problems with material. - Present new methods to reach a solution. - Work on all assigned work. - Work on future work to give the student an academic advantage. I am a hard working tutor that will bring the joy of the subject to our sessions of tutoring. I am strict at times, however, some of my students have referred to me as mellow. I will strive to bring your student up to speed and surpass even their own expectations. I love my students, and I want to see them succeed. Casio Keyboard Piano, sheet music, and much more equipment as needed. I've performed in thousands of situations all over the country! Singing is not only about melody and words. It's about emotional impact, inner message and deep understanding of a musical piece or role. Studying performance is very important for vocalists. Remember: most part of people at the audience are not professionals, but still they will judge you upon your performance. Helen is a multi-awarded vocalist and composer, whose approach in teaching is influenced by classical opera. Friendly atmosphere, kind attitude to every student and deep attention to each musical piece may inspire anyone. The stage, the band, the studio, the audition, the concert. These so many variables and details that can hinder and even sabotage a performer. Zelda coaches musicians and singers with strategies and techniques to master performance in all settings. Zelda has been teaching private lessons for over 11 years and is currently available to teach weekly lessons at her home studio in Nashville, TN or online. She provides a dynamic, student-structured training curriculum for voice, speech, singing, ear training, performing, ukulele, bass and songwriting, and shares her passion for creativity and lifelong learning. Her lessons are refreshingly different - centering on the individual student and their unique needs and has helped many students improve their abilities for live performance, communications, showcases, auditions for all kinds of shows, competitions, joining and playing in a band, creating a dynamic set list, recording and a lot more. gwriters who don't call themselves singers. Zelda S. is a performing singer songwriter, music and performance coach, author and creator of the highly effective voice warm up program 'Zelda's Voice Warm Ups' for anyone who uses their voice - teachers, coaches, actors, singers and is available on itunes for purchase to use anytime for keeping your voice in peak condition. As an award winning songwriter Zelda and has been a performing musician for over 35 years and has enjoyed a well-rounded music career including live performing, studio performing and directing and music education. She works in recording studios with professional singers and musicians across all the pop music genres and her award winning works continue to be broadcast in television worldwide. An expert in her field, Zelda looks forward to helping new students enjoy their musical journey and prepare for the many opportunities that come. Her students range in age and include children, tweens, teens, adults of all ages and a wide range of skill levels. She works with singers, musicians, songwriters and producers across many genres and styles. Some of the musical styles she regularly teaches include: Pop, Rock, Indie Rock, Alternative, Americana, Bluegrass, Country, Folk, Gospel, Punk, Blues, Jazz, Funk, Soul, R&B, Classical. Broadway and theater. Students love Zelda's fun, encouraging and systemized lesson format and enjoy reaching learning milestones and achieving their goals. Zelda S. is a professional singer, songwriter and coach with mission - to change the way people think about creative talent. She knows first-hand that when students get into the right headspace they can make amazing breakthroughs with their music, their careers and themselves in all areas of their life. Zelda believes it’s not just about talent you're born with - but rather passion to master easy-to-learn skills to advance to the next level. She’s right at home with people at any level from raw beginners to shy singers to high level professionals. Her encouraging style helps singers, musicians and songwriters develop their unique voice for any situation - live, recording, auditions and any type of event. If this resonates with you - then you’ll love lessons with Zelda S.
I had always wanted to see if I had any vocal talent whatsoever. I met with Zelda and she was patient and took me through the steps to check my range and abilities. I was very nervous as I had never sang in front of anyone before and she made me feel confident and comfortable as I stepped out of my comfort zone for the first time. I will definitely go back to continue my work with her in the future when the timing is right! Thank you so much Zelda!!! I loved getting lessons from Zelda! Her bright bubbly personality is so welcoming. She greeted me each lesson with a cup of herbal tea to sooth the vocal cords and we then worked on a series of great vocal techniques that have helped me maximise my singing potential. This has subsequently led to me being a professional singer and touring extensively both nationally and internationally in a number of different singing styles and genres (including Jazz/Classical/Pop/Rock/Folk/Country). Her safe methods build vocal control and stamina; as well as develop world class expressive and stylistic techniques. She manages all of this while also making lessons fun! Zelda is an AMAZING teacher with so much knowledge about the human voice and proper singing technique. As a professional singer, I use her vocal warm-up EVERY DAY. I love it so much that I even share it with friends and on tour with fellow singers. Zelda also taught me skills to continue the longevity of my voice and help me massage my vocal chords after a long vocal workout. She is by far the best vocal instructor I've had, incredibly engaging and so very talented. I highly recommended her vocal training for any level singer.